"I've had some play time with the Nokia Lumia 800 and I was very curious about the new design (which is very close to the Nokia's N9, with minor differences). Upon getting the Nokia Lumia 800 in your hand, the first (and most important) thing that you would notice is the new design." Ubergizmo got their hands on the Nokia Lumia 800 and was kind enough to provide us with a first impression preview. They stated the polycarbonate skin case felt comfortable to hold and is more manageable than most Android phones due to the smaller but still spacious 3.7" AMOLED screen with curved Gorilla Glass. The performance of the single core processor was extremely fluid and the Nokia specific apps were useful. 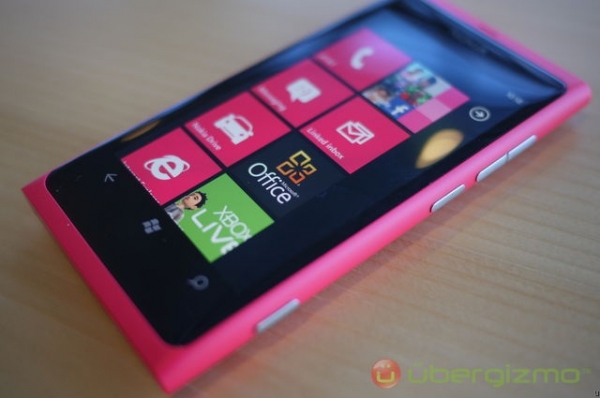 Overall, Ubergizmo was impressed with the Lumia 800 and believes it is the sexiest Windows Phone to date. The Lumia will be available in Europe next month and the U.S. in early 2012. Hopefully, by the time it hits US Nokia will get front facing camera, otherwise it is a great phone! I think the front facing camera will depend (especially in NA) on the vendor preference. Personally, I don't have a need, but I AM waiting for this to show up on the AT&T product list (need that to ensure 3G/H compatibility). However, looking at the specs, the phone might be truly a 'world phone' which handles all the 3G/H bands, no matter what the vendor uses.